Photo: Paul Thomas..The Nottingham Open. ATP Tour 2007. 19/06/2007. 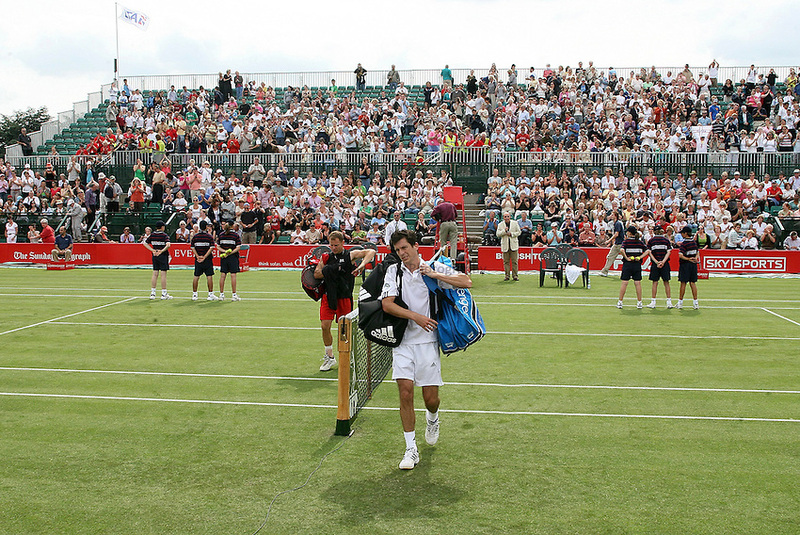 ..Tim Henman of the UK walks off after his win over Michael Russell.